Integrating analytics with your website can help you find out where your users are coming from and how they are using your site. By considering the type of page or site (landing page, blog, or online store, for example), you can view reports that help you see if your pages are performing the way you want. Without analytics, you don’t have any idea how many people have visited your site, where they come from, how they use your site. Even if they leave a comment or make a purchase, without analytics, you don’t know what other pages they looked at or where they came from. Are customers finding you through search but bouncing once they reach your site? Are they viewing multiple products but leaving without buying? You can use the data from Google Analytics to figure out where you’re losing visitors, given the goals you have for your website. These are opportunities to try and increase conversions. To use Google Analytics, you’ll first need a Google account. Once you sign up at https://analytics.google.com/, you’ll be prompted to add your first ‘Property’ to your account. Choose ‘Website’ as what you would like to track and give your account a name. Now it’s time to fill out the property info: website name, website URL (switch the dropdown to https if your website has an SSL), industry category, and reporting time zone (this is your time zone). Finally, choose the ‘Data Sharing Settings’ you want for this account. For more information about these settings, visit here. You can always change these settings later under Admin > Account > Account Settings. Click ‘Get Tracking ID’ and you’ll get an ID that looks something like ‘UA-########-1’ (where the 8 #’s represent your account number with Google). Now that you have your tracking ID (UA-########-1), you need to make sure to add the tracking code to every page of your website. Depending on your website setup, this can be an easy job or a more complicated one. If you’re using WordPress, your theme may already support Google Analytics. For example, in our theme Networkd, you can add the tracking ID in the WordPress Customizer and the theme handles the rest. If your theme doesn’t have the ability to add your tracking ID, you can use a plugin like ‘GA Google Analytics’, which is available from the WordPress repository here. If you’re not using WordPress, or you can’t add new plugins, you probably want to reach out to your webmaster to help setup Google Analytics on your website. The longer you have Google Analytics active, the more data you will collect. Depending on what you’re comparing/tracking, the amount of time it will take to have a meaningful amount of data will vary. For any links you share, you should add campaign information to the URLs. You can use the Google Analytics Campaign Builder here to add the correct parameters to your URLs. This will enable you to see these parameters in Google Analytics, once someone has visited the link. You would then use this link (or a shortened version of it) in your email newsletter, and then you would see how many people clicked on that specific link to https://your-site.com. The Google Analytics Campaign Builder here can be used to create these links easily and you don’t have to remember the parameters. Google Analytics can track Goals that you explicitly set. To add a goal to Google Analytics, go to Admin > View > Goals. In the free plan, you can have up to 20 Goals. These can be targeted to track conversions for reservations, payments, sign ups, account creation, contact, get an estimate, among others. You can also choose ‘custom’, which will allow you to specify a goal destination, duration, pages per session, or event. An example goal may be for your website visitors to request a consultation. Website visitors fill out a contact form that redirects them to a thank you page when they have successfully submitted the form. To capture this goal completion in Google Analytics, choose ‘custom’ from the Goal setup options, and ‘continue’. Add a name for your goal, such as ‘User Requested Consultation’, and choose the type of goal, ‘Destination’, then click ‘continue’. Finally, add the Goal details, including the destination page, possibly the monetary value of the transaction, and possibly the funnel of pages which are required to complete the goal. Before saving your goal, you can click ‘Verify Goal’ before you save it. This will show you the % conversion rate for the last 7 days. Depending on how long your Google Analytics has been set up and how new your goal is, there may be no conversion to show you. This is okay if the steps are correct; future goal completions will be tracked once you save it. Each of these metrics also links to a more in-depth dashboard to see more details. It is important not to get lost in analysis paralysis at this point; the paradox of too many options can make it hard to just get started. Google Analytics is a powerful, comprehensive tool, and it has so many metrics that gaining actionable insight into your web traffic may be confusing as first. It can be helpful to keep in mind the goals you have for your website (not the specific goals we added to Google Analytics conversion tracking, but the broader goals for your website). Google Analytics can help you see where your traffic is coming from. It can also help you understand what visitors are doing when they are on your site. For example, if you look at the acquisition by channel, you may see that you get lots of organic search traffic. Great news! However, if you open the ‘Acquisition’ dashboard, you may see that while users are coming from organic search, the bounce rate is high (these users are leaving your site after only viewing a single page). This provides you an opportunity to improve the pages that are being searched, to hopefully lower the bounce rate and keep visitors on your website for longer. To find out which pages users are finding through organic search, open the Behavior Flow (under Behavior in the left menu). Use the dropdown in the green box that says, ‘Landing Page’, and choose Acquisition > Traffic Type. Then to narrow the flow to just organic searches, scroll down the first column til you see ‘Organic Search’. Click on it and then click on the option to ‘View only this segment’. In the 2nd column ‘Starting Pages’, you’ll see a weighted list of pages that these organic searchers started on. Continuing with the example above, maybe 50% of your organic search traffic goes directly to your home page, but then 50% of that traffic leaves your site without visiting another page. This could indicate that you should make some changes to your home page, but it could also indicate that these users found what they were looking for on the home page (and therefore you don’t need to change it). Figuring out the difference depends largely on what your overall goals are and the type of information on the page: if the page is a blog post, it’s entirely reasonable that users found it and read it without leaving the page; if the page is an online store, users are much more likely to visit various products or store categories. The default reports in Google Analytics is what we’ve been looking at so far. You can also add custom reports to help understand all the data you’re collecting. You can create your own custom reports or find custom reports designed for many specific use cases. In the left side menu, click on ‘Customization’ and then ‘Custom Reports’. Click on ‘Import from Gallery’ and you’ll see a popup with a search on the left, along with other filtering options for categories like Acquisition, Campaign, and Lead Generation, among many others. Upon finding a report that you would like, click on ‘Import’ and select any options it prompts you for to complete the import. If you not sure what reports make sense for you, you should check out Kissmetrics’ blog ‘12 Awesome Custom Google Analytics Reports Created by the Experts’ here. They give some detail about each report and you can easily add them to Google Analytics with a click. Even if you don’t find an exact match for the report you’d like, it’ll save you time finding one that’s close and then editing it to get the exact report you’re looking for. One report from the Kissmetrics’ blog we use is the ‘Visitor Acquisition Efficiency Analysis Report’ (#2 in their list), which provides a report detailing referrals from your various sources. This would be particularly helpful if you’re paying for advertising on a 3rd party site or trying to figure out what sites might be the best to advertise on. Once you’ve added the report to your Google Analytics, you can edit it to remove or add information specific for your use case. Google Analytics also allows you (after May 25, 2018) to control the Data Collection and Data Retention policies for your property. You can find these settings under Admin > Property Settings > Tracking Info. These policies affect the identifiable data that is stored with each specific visit. They don’t affect the aggregated data – this is what you’re seeing in the Google Analytics dashboard screens. You can’t analyze any data in Google Analytics until you’ve connected your website. So, it is important that you do that as soon as possible. Even if that’s all you do, once you have the time to come back to it later, you will have data to analyze. After you have data, you can analyze it in many ways, to try and better understand your users’ behavior on your website. By using the built-in reports and adding custom reports to fit your specific needs, you can set up Google Analytics to give you insights about your current website. This article only just covers the first layer of Google Analytics. I’ve added more links below for further reading on the subject, to help you make the most of using Google Analytics as a tool. 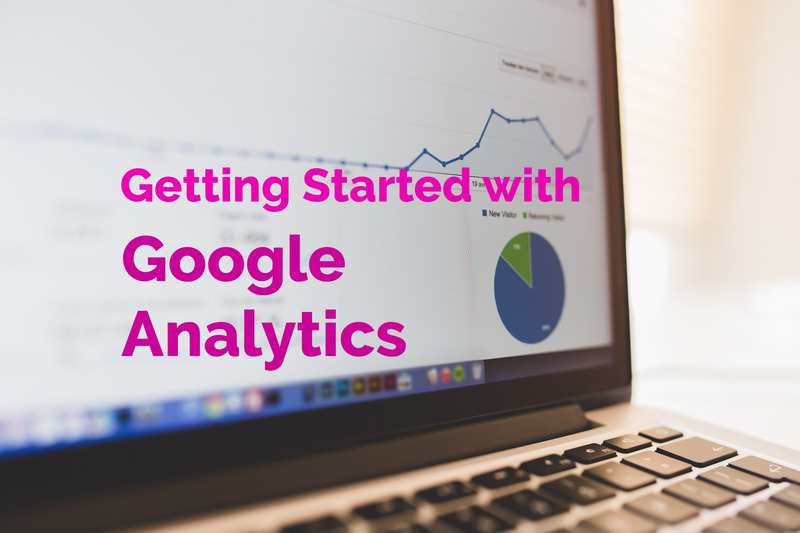 If you’re looking for more help in setting up Google Analytics, contact us today!